This next clip is not quite MMA vs Kungfu but it's close. Henan TV organized a competition between Shaolin monks and foreign fighters (Henan is the province in which the Northern Shaolin temple is located). This fight is between monk Yi Long and US Muay Thai boxer Adrien Grotte. Many locals expected the Shaolin monk to walk all over Grotte given Shaolin's almost mystical reputation, but in fact Grotte won. This caused a furore in China as many had an impression Shaolin monks are invincible. 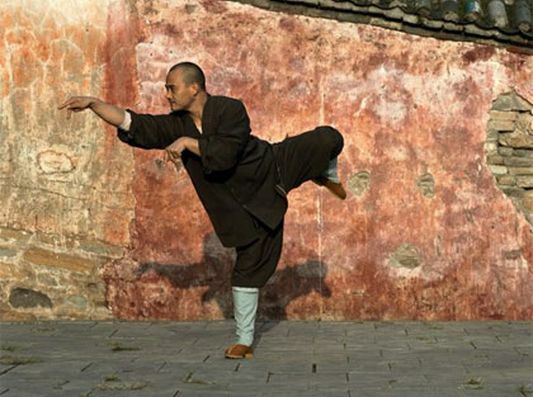 Is Shaolin Kungfu an empty shell as some have alluded to? Perhaps not, winning and losing is just one way of looking at matters. The video commentary is in Mandarin.